Stay Aligned. Stay Pain Free. Stay One Step Ahead of Your Health. Stay Healthy as a Family. We have health providers dedicated to ensuring your experience at our centre is holistic, efficient, and patient-centred. Chiropractic care can help you with neck, back and other muscle, nerve or joint-related injuries. Physiotherapy can help you recover from a car accident or sports-related injury. Massage therapy is one of the oldest forms of natural and hands on therapy. Orthotics requires the assessment of the foot. Mainstream medicine does not emphasize poor nutrition. The practice of inserting thin needles into specific body points. Fit for Life Wellness and Rehabilitation Centre is a multidisciplinary wellness centre committed to offering you excellent patient care. 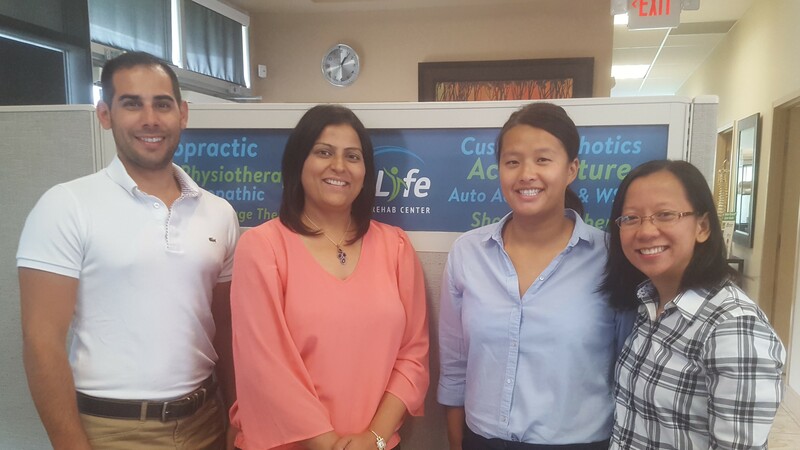 Our wellness team of chiropractors, physiotherapists, massage therapists, naturopathic & nutritionists work along side a team of medical doctors and a pharmacy. 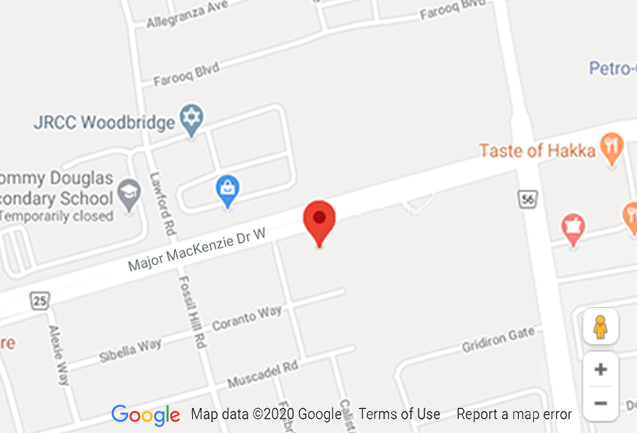 Our clinic located at 10395 Weston Road, Unit A. Vaughan, Ontario., L4H-3T4. We are located inside the Vellore Medical Centre & Walk-In Clinic. "Who knew that playing with your children on fathers day would result in a torn Achilles Tendon?? From the hobbled first step I made into the office to the last therapy session, I felt at ease, comfortable and confident. The wealth of knowledge and professionalism instilled me with the assurance that my injury would not be permanent. Although another foot doctor/fracture specialist gave me advise on my injury, it was the advise that made a real difference in my life. I would highly recommend Chiropractic to anyone who is suffering from any injuries. Thank you for everything!" "Hello! I would like to thank you and your team for a great service that was provided to me. I found your reception to be very polite and caring the moment I walked in. I have had a wonderful experience with your professional service to help me get back to my daily routine. I will recommend your professional chiropractic service. Thank You! " "Awesome clinic, Chiropractic and massage helped me with 2 different power-lifting injuries and the RMT's are the best in the city! highly recommended! Best chiropractic experience. Thank you. " "Chiropractic helped me recover from a back injury quickly and comfortably. I went in barely able to walk and in just a few days of treatment, I started to feel much more mobile. Staff is friendly and the clinic offers lots of services such as Chiropractic, Massage and Physiotherapy. Highly recommend!" "I am happy to say that I've been doing the exercise that you suggested and my partially torn Achilles Tendon is improving! It is getting stronger. I wanted to send this feedback to say a sincere thank you for all of your help. Without you, I know that I would not be where I am today. It was amazing working with you. You are very knowledgeable, professional and easy to speak with. I will refer anyone in need of your chiropractic expertise in the future. " Whether you are suffering with muscle, joint or nerve pain or maybe looking to achieve your optimal health goals, our team of chiropractors, physiotherapists, kinesiologists, naturopathic doctor and massage therapists are here to serve you! I went to see Dr. Luciano Di Loreto after I suffered a third degree ankle sprain. Being 40+ I wasn't healing as fast. He knew exactly how to make me better. Amazing staff. State of the art equipment. I recovered fully, earlier than expected. Happy to be hooping again. Have a Good Experience? Write a Review!